As Turkish Airlines Flight 800 caught the jet stream over the Labrador Sea, its speed surged to 600 knots (710 mph), way above the Airbus A330's cruising altitude. The red dotted line shows the shortest path between Panama City, Panama, and Istanbul. Airlines operate on thin profit margins, so letting wind do the work usually done by expensive jet fuel is a no-brainer. 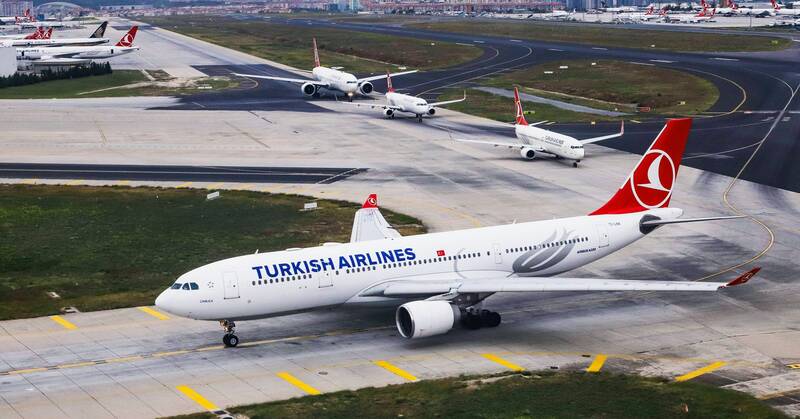 (Turkish Airlines did not immediately reply to questions about this flight.) And while the folks flying on Turkish Airlines Flight 800 may have wondered why they could see Norwegian fjords on their trip from Panama to Istanbul, they probably stopped caring once they touched down, safely and on time.